The summit has a grotto built by a local farmer who dragged the cement, sand and water up from his home in Ballyledder on his back. There is also a lower peak to the east known as An Chruach Bheag (TH). 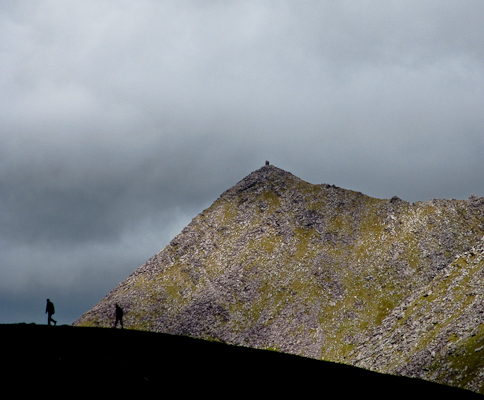 Both have the sharply pointed shape associated with peaks called cruach, and this also accounts for the Irish name of the range: na Cruacha Dubha (Mhic Giolla Mo Chuda). Cruach Mhór is the 11th highest place in Ireland.